The 767 Freighter is a derivative of the popular 767-300ER (extended range) passenger twinjet. All the advancements in avionics, aerodynamics, materials and propulsion that were developed for passenger versions of the 767 are incorporated in the freighter. 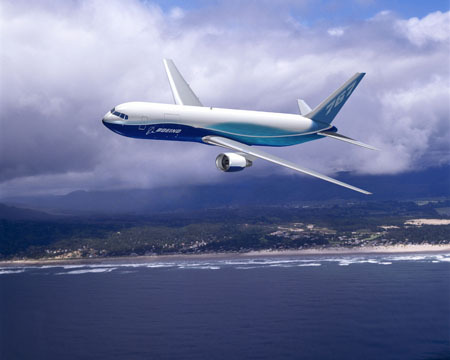 Boeing has been the world leader in civilian air cargo since the 707 Freighter was introduced nearly 50 years ago.